This is a very fine looking 1953 ROLEX BIG BUBBLEBACK ref. 6084 having a solid 14k. gold engine turned bezel and ROLEX winding crown. There are some black marks on the gold bezel in my photo-they have been removed. 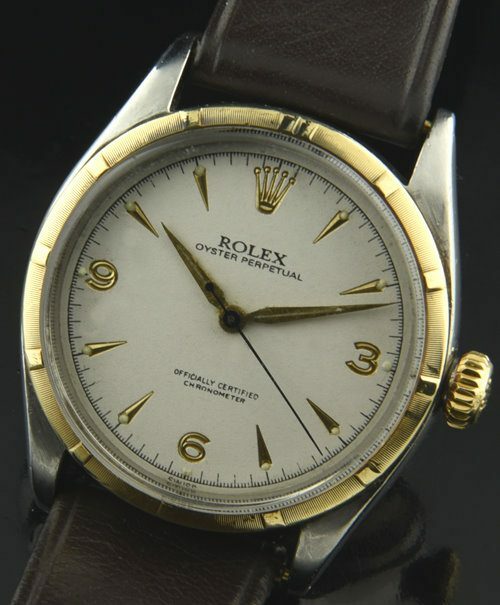 The dial was restored many years ago and the inset Roman numerals, arrow markers and ROLEX coronet are original. The Dauphine hands and blued steel sweep seconds are also original to the watch. The 34mm. 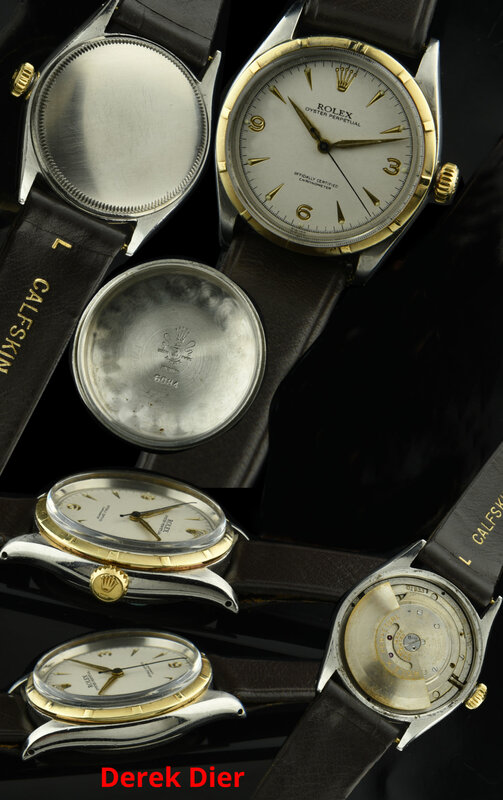 stainless steel case displays excellent condition and is without flaws. The ROLEX N.A. bubbleback movement was just cleaned and is accurately keeping time. These big bubbleback are becoming harder to find as the months tick by!